The stock market has continued to confound the academic proponents of the the debt deflation mantra who have in perfect perma bear style been banging their heads continuously against a four year stealth bull market that has marched all the way to an new NEW All Time Closing High of DJIA 14,253.77. Virtually all of the reasons put forward will be wrong as especially academic economists will find themselves floundering all over the place to explain why the stock market can trade at new all time highs whilst their economic statistics say that a triple dip recession suggests the exact opposite should be true, because the actual key drivers of the unfolding stealth bull stocks market as covered in depth in the recent Stocks Stealth Bull Market 2013 and Beyond ebook (FREE DOWNLOAD), are that general stock market indices as the Dow are geared towards oscillating around an exponential inflation mega-trend towards which stocks are leveraged, which is why they will ALWAYS converge towards and BREAK to New All Time Highs, including that the Dow level of 14,200 was the forecast conclusion of 2 years ago in the preceding Stocks Stealth Bull Market ebook of March 2011 (FREE DOWNLOAD). 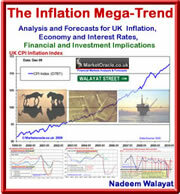 The technological human productivity boosting mega-trend brought to competitive markets around which asset prices such as the stock prices oscillate ever higher in cycles of sentiment driven booms and busts is the second primary driver for the exponential stock market mega-trend (the first being inflationary government money printing fraud). You may say that new technology also means that many large corporations will also eventually go bust as their business models goes up in smoke, the most recent example of this is the Kodak bankruptcy of 2012. However, general stock market indices such as the Dow regularly relegate old dieing industries from the indices and incorporate fast growing new industries which is why the stock indices growth rate exponentially outpaces inflation over the long-run as it is skewed towards breaking to new highs. In the case of Kodak, it was kicked out of the Dow in 2004 long before it filed for bankruptcy last year (2012) and replaced by the emerging telecom giant Verizon so that Kodak's subsequent stock price collapse towards zero has had no bearing on the Dow. Therefore TECHNOLOGY is a VERY important driver for the stock market's exponential trend that goes hand in hand with INFLATION. What today takes the like's of Apple, Microsoft and Siemens to achieve and market, 20 to 30 years from now that level of productivity will be in the hands of ordinary people to replicate from their own bedroom's or garages. Just as today's high end desktops allow many to achieve today what would have required an army of workers 20-30 years ago to perform, the continuing impact of technological advancement amounts to a quantum leap on human productivity that is exponential. 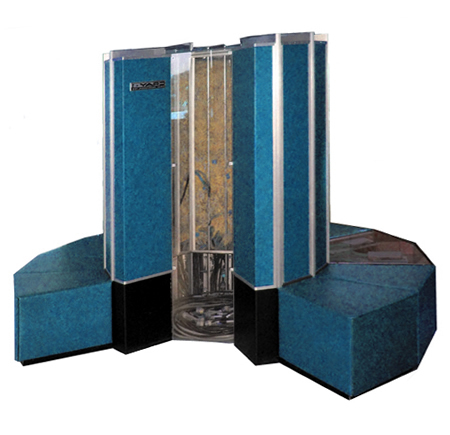 For instance I remember being in awe of the Cray series of super computers not just because they looked as though they were straight out of a sci-fi movie with an $8 million price tag and performance that was at an eye watering 80 Mflops which left my $100 ZX81 standing in the dust. However compare this to my current $4,000 custom system that operates at 37 Gflops, which is 460X faster than the fastest super computer of some 33 years ago! Off course it does not even register on the radar when compared against today's supercomputer's but in 20 years time, today's super power computers will be sat not just on our desks but more probably in our pockets, and you can you only imagine to what extent individual human productivity will have been boosted in directions we cannot even imagine today. For instance keyboards may be too limiting so in the not too distant future we will probably be hardwiring ourselves directly to our machines, already augmented reality equipment is offering up possibilities with Google's Glass just around the corner. At some point there will be a blurring between man and machine that will act as a feedback loop to the rate of exponential innovation in every direction, as ultimately life achieves its primary goal which is to spread and evolve in all directions which ultimately means beyond this planet as the essence of what is life - self replicating DNA seeks to spread throughout not just our solar system but the entire galaxy and beyond. Thirty years ago when I had my own first REAL personal computer as opposed to the pseudo computers such as cartridges for the Atari games consoles, or the barely usable kit computers of the late 1970's with their switches and flashing diodes. 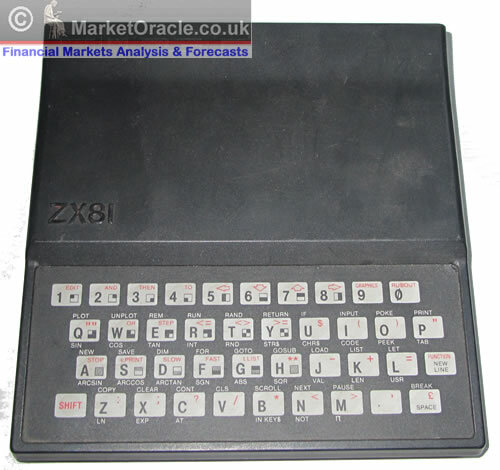 The ZX81 powered by the Z80a micro processor was capable of performing 65,000 instructions per second, and had an extension memory pack attached of 16megabytes with software storage on cassette tapes. The key point of the ZX81 as opposed to the cray super computer of the time was that at just cost £50, which means it was affordable to the masses! Whilst only medium to large corporations and institutions could afford a Cray1 super computer, every working family could afford a ZX81 home personal computer and with it programming took off in the UK, so the people of Britain have a lot to be grateful for to Sir Clive Sinclair for starting the whole ball rolling in the UK, as the Apple series were out of reach to most and especially teens, which many other companies tried to emulate the success off during the 1980's. Learning to program is the key for the future, as all computers during the 1980's came with in built programming languages. Programming was just as natural an activity is games playing or word processing is today. If you had a computer in the early 1980's than MOST users WOULD learn programming. So programming was natural and went hand in hand with analysis. The same analytic techniques that can be applied towards determining for any solution in real life. This quantum leap in the UK and many other western nations did NOT take place in schools, colleges or universities, instead this took place in peoples homes as state education is ALWAYS several years behind the curve. For instance what people are taught in Universities with regards computing, even today is several years out of date!. I recall in the mid 1980's being taught pascal on batch processing mini-computers when what I was learning at home was C on a personal computer. In terms of inter networking the colleges and universities did not have a clue, instead at home I was running my own Bulletin Board Service (BBS) on Fido Net which was more than a decade old precursor to the world wide web version of the internet. Whilst it might have taken 5 days to send an email, still it was a distributed FREE network not under any entities control. The bottom line is this - You cannot learn cutting edge computer technology in colleges and universities. You will be luckily if what you learn is less than 3 years out of date, which is why schools, colleges and universities can only produce workers and not entrepreneurs or innovators who invariably are school or university drop-outs because they soon realise that what they are being taught is pretty much worthless in terms of seizing the moment. Back to the beginning, whilst computers had built in programming language's such as BASIC, programmers across the UK could soon make the ZX81 do far more than it was designed to do via the natural progression to wanting more power over the computer which was to be achieved via machine code assembly language, which is something that we never even hear of today but which is the closest to that which computers actually operate, and that is the primary key which is to strip away what has been placed between you the programmer and the machine. Whilst operating system's make ever more powerful machines easier to use. However, the bloated systems damp down processing power and restrict what you can do so that most people are not even aware of actually how powerful today's computers really are. Again you need to fully realise that you already literally have a super computer sat on your desk that you need to fully learn how to harness the power of. Most of the tasks you use your PC for only scratch the surface of what it is capable of. So in 1981 the Cray1 Super Computer operating at 80 mega flops costing $8 million was 31,000 more powerful than my ZX81. Now compare this against my today's high end 3SX custom desk top system that operates at 37glops!, which is 460X as powerful as the Cray1 which translates into being 14 million times as powerful as the ZX81, though off course before techies out there start writing in, I fully understand that parallel processing of the Z80A chip would mean that today's computer would be far less powerful in comparison, but then again it would take about half a million ZX81's in parallel to equal my desktop and 500,000 is about the total number of ZX81's that Sinclair ever manufactured. What this example illustrates is that today's technology is infinitely greater in processing capability than that of 30 years ago and that the trend in technological advancement as best exemplified by Moores law for a doubling of transistor count on chips every 2 years which converts into processing power doubling every 18 months. Don't believe the experts who every so often proclaim that processor technology is reaching it's limit and performance on single chips can no longer continue to increase at such a rapid pace, each time innovation provides a solution for continuing the trend such as multi-core parallel processors. And going hand in hand with increasing in processing power has gone the cost and speed of data storage where today we install terabyte drives in our desktops when 20 years ago it was megabytes (1/1000th) with main memories of between 6 and 20gigabytes, about 13 years from now high end desktop computers ($4,000 in today's money) will tend to have at least a couple of terabytes of direct memory and over a quadrillion bytes of fast storage, or 1000 times the storage and memory of today's high end pc's. Today's fastest super computers such as the US Dept of Energy's Titan computer performs at 20 peta flops which puts it about 270,000 times more powerful than my desktop, but this processing power will also be shrunk down in both size and PRICE to sit on every ones desk or even in their pockets in less than 20 years time, then what for human productivity when we will have such processing power at our disposal to branch out in EVERY direction. We will all be able to perform complex models of simulations of virtually anything and then program our mini factories in our garages to manifest the simulated models. Forget multi-million dollar labs to genetically engineer new life forms, instead we will be able to do this in our homes. Forget multi-billion dollar factories, instead we will have factories that will produce most of what we want in our own garages. This technology is not some distant pipe dream, but is already here today. We can use it today! You want to setup a biotech lab? You can have one today for less than $10k! The great divide of the future will not be between the rich and the poor but between those that use the new technologies as innovators i.e. tomorrows programmers as opposed to being just consumers. You have to decide today, do you want to be a consumer or an innovator because it is not a question of money but of how one uses existing technology, in this respect one of the greatest dangers the West faces is not an external threat from the likes of China, but from brain numbing industries such as the Games industry and the likes of Twitter, which is why I do not Tweet. That results in people in their most productive years getting sucked into games cultures and social media resulting in wasting years on a mind numbing blur of activity, when they could have literally created anything. Instead of children playing games they should be making games! Protect your children's future development today, throw out the games consoles. Now there is nothing wrong with playing games if they act as a stepping stone towards immersing oneself in programming such as the online virtual worlds allow one to do. Many of the arguments you hear in today's mainstream press and blogosfear is how the world faces a 1930's type future, i.e. severe economic depression, which in reality some 4 years on from the financial crash has failed to materialise in reality. That is because we are NOT LIVING IN THE 1930's ! We are living in the 2010's. If one took a time machine back to the 1930's one would be struck by the fact how slowly things changed in everyday life from year to year. This is because the rate of technological advancement is increasing each year exponentially whilst the potential burdens of increasing population's is on average only increasing by a couple of percent a year. The one indicator that best illustrates the rate of technological advancement that the west is at the cutting edge of is Moores law that the transistor count on chips doubles every 2 years. The smartphone in your pocket is more powerful than the super computers of 30 years ago, and where do you think the smartphone equivalent of 20 years from now will be ? It won't be in your hand, it will be floating around your bloodstream repairing and augmenting your bodies various functions with all of the benefits for the enhancement to human productivity, imagine the possibilities if you had photographic memory recall! Again, I need to reiterate the fact that today we have become so used to the rapid pace of change that we tend to miss technological revolutions that are literally taking place right under our very noses. The most recent of which are the tablet Pc's and what they represent in terms exponential jumps in human productivity and learning that is happening right now! There is clearly a competing tug of war taking place between smartphone's and tablet PC's as once separate technologies are clearly on a trend towards convergence. Multiple technological revolutions are set to drive the Innovation mega-trend component of the stocks exponential growth mega-trend where the over-riding theme is one of smaller and smarter. Whilst my focus is on the investing and consumer element, however all of these emerging technologies can be and are being used by the military and the state security apparatus to control and wage war. For instance today we are witnessing the drone war taking place across many third world countries. In the not too distant future we will be see literally swarms of smaller and smarter drones flying above western cities, which illustrates the price that we will pay for technological advancement in terms of the erosion of freedom and civil liberties. Moores law continues to play out as processing power continues to double almost every 18months, which translates into computing devices 20 years from now being about 16,000 times as powerful as today's same cost device. Therefore increasing computing processing power (as well as memory / storage) continues to boost worker productivity that more than offsets the costs of mistakes made by governments and the huge amounts of wasted on unproductive public sectors as well as acting to feed all of the other emerging technical revolutions that rely on increases in processing power. Powerful cheap processors will be in everything, today's desktop processing power will have shrunk all the way to chip level which will allow us to interact in a truly digital world i.e. instead of using desktop and smartphone's we will access most of our data from the cloud wherever we are on a myriad of surfaces including walls and holographic projections. 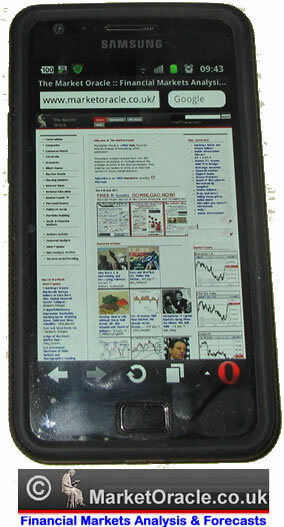 Furthermore at some point over the next 20 years powerful processors will become so cheap that they will form parts of literally disposable devices, the most obvious of which would be disposable digital newspapers, web-site readers. Virtually every of today's throw away devices will become intelligent. We have so far not even scratched the surface of what AI could deliver. To see what lies in our future we can refer to nature and to sci-fi movies. Many breakthroughs lie ahead before AI becomes a reality because at the present time even our most sophisticated multi-million dollar robots are far dumber than a single cockroach. Once the break through's in AI follows in terms of self-learning neural net works, we will see AI impact every aspect of our lives long before we arrive at thinking robots. The first to go will be the call centres and help desks as much of their operations will be replicated by increasingly more sophisticated AI expert systems over the coming decade which would have the effect of putting much of India's call centre business out of operation. The holy grail is an AI that thinks as we do, and as many sci-fi writers have stated, AI's will only be as smart as humans for only a moment before they become several orders of magnitude smarter, still that is in the far distant future, probably at least 30 years away if not a lot longer. In the immediate future as mentioned above manned call centre's will disappear during the next 10 years, and similarly many shops will start to feature more self service intelligent tills and fewer sales staff. At the high end of the AI market we will eventually start to see whole high cost expert professions being put out of business such as doctors as their knowledge is learned by sophisticated neural networks such as miniature versions of IBM's Watson. The work force of the future will comprise ever more sophisticated robots because robot literally means work. Robots will take up many of the manual, laborious work that our cities demand is performed on a daily basis, freeing up first the peoples of the west and then much of the rest to focus on more productive activities, and as AI becomes more advanced so will the robots in their tasks and responsibilities to a point in the distant future (over 50 years from now), when we will have to face the consequences of our relationship with machines that may have become smarter than us. Will Asimov's rule be enough to save us? Robots also offer a possible solution to the ageing population crisis, in that increasingly more intelligent and capable robots will be able to help the elderly to continue to live independently. However as mentioned earlier the development of robots is highly correlated with the development of low cost neural net chip's, which is at least 15 years away. What is already happening and likely to continue to accelerate is the use of robotic limbs by disabled peoples. The internet has revolutionised our work, education and leisure over the past 20 years. The next 20 years are going to be just as revolutionary as bandwidth expands exponentially as the West's old copper wires continue to be replaced with fibre optics that can carry a million times more information. The internet so far has been in terms of the flow of information and social interaction. The next 20 years will see the internet increasingly become hard wired which will especially benefit businesses as it will literally allow small businesses to rent factory machines online. Just as today we have server space being rented out to website owners, in the not too distant future factory machines will be being rented out and operated online by small businesses, and the scope of this hard wiring of commercial machinery is near infinite as virtually any piece of sophisticated hardware can be thus operated including the means of transportation from road, rail and planes. In terms of the greatest impact to human productivity the industrialisation of the internet will probably amount to the single factor that results in greatest leap in human productivity over the next 10 years as businesses truly plug themselves into the internet which so far has been mostly a consumer and leisure tool. The internet also illustrates how backward our state education systems are as they are only now, some 15 years after most of us started to browse the internet starting to capitalise on some of its huge educational potential. Enormous mega-trend inducing milestones have been completed over the past 10 years. None more so than the mapping of the human genome (2002), and the technologies applied to its achievement have expanded exponentially in what used to take a year to do 10 years ago in terms of DNA mapping now takes less than a day and at infinitely less cost just as super computers were once the realm of giant corporations and government institutions so is bio-tek technology falling into the price range of virtually anyone to pursue with literally millions of labs set to sprout up across the western world. The code for All life is increasingly being converted into data that anyone can have access to and utilise. Many may be alarmed about the potential dangers of such an outcome but this genie cannot be put back into the bottle and will have to play out just as every other technology man has ever invented has played out in the market place. Whilst the dangers maybe huge, the potential benefits are even greater, as anything will be possible, from cure's for diseases such as cancer to possibly even the cure to ageing! And it is increasingly likely that many of the future discoveries will not be made in expensive big pharma or government funded labs, but in small independant bio-tech startups. So yes, whilst there may be scare stories and governments will try and repeat their control over the computing industry which at one point even had the prospects of a US chip going into every computer that allowed the government access to all computer data. Today bio-tech to most people is an unknown quantity unlike for instance computers. However it won't be long until biotech has just as great an impact on our daily lives as smartphone's have today. The future is biotech and all of its consequences are just around the corner, 10 years from now we will be well immersed in an bio-tek information network as we order gene components from amazon to help construct tailored life forms. Off course academia will fight hard to keep control with much scare mongering propaganda pumped out, just as the military industrial complex does to justify its annual $1 trillion cost as they entice conflict and threats around the world to scare tax payers to continuing to pay for the global military industrial complexes. The bottom line is this - Humans experimenting with DNA amounts to the speeding up of evolution and that which survives in environmental competition gets incorporated into future generations of organisms and that which does not gets s discarded, just as takes place in evolution by natural selection. The impact of the bio-tek revolution will be many fold and in directions that we cannot even imagine today. In this respect humans at the preset time are doing huge damage to the planet as evidence by the fact that thousands of specifies are becoming extinct each year as a consequence of the global human boot print. Our wider understanding of the importance of the evolution generated DNA code is bringing on a new appreciation for the importance of ALL life and is slowly resulting in a change in our behaviours in every respect, because today most of us living in cities have little appreciation for the consequences of the loss of species through our collective actions on the planet in terms of pollution. Off course the military will seek many applications probably along the lines of living drones. We all want to live longer and healthier lives, and we all appear to be waiting for the magic pills which the pharmaceutical companies are busy engaged in producing that will increasingly come on stream from weight loss pills that actually work, to the get healthy pills as well as cures for many of today's diseases that will push the envelope for a average healthy life expectancy to beyond 100 years, and this is before we start to augment our bodies with machines such as nano-bot's. The fall in the cost for DNA sequencing will mean everyone will have their genetic codes read which will reveal to the doctors the risks for any diseases so that preventative measures can be taken. Similarly any failing organs will be grown from our own cells so that our bodies accept them. Further into the future, I can imagine 30 years from now we will be seeing healthy people start to augment their bodies with devices including robotic limbs that outperform their natural limbs. Today in the UK NHS GP's are fighting over control of the £80 billion annual NHS commissioning budget for patient services. However, I can see that it won't be long before GP's mostly become redundant in the diagnosis process as infinitely far more effective monitoring machinery takes over the role they play with diagnostic labs and consultants filling any gaps left behind. The technology to achieve this already exists today in the form of smartphone linked devices that could in minute by minute monitoring of our bodies and perform software analysis of the resulting data. All it takes is the political will to make the change from GP doctor surgeries to devices linked via the internet uploading the status of patients everyday with hospitals automatically arranging diagnostic consultations and treatments, completely bypassing the middle men, the GP's which can insert a delay in diagnoses of several weeks to several months, with the added risk of ms-diagnoses a mistake that a hospital consultant is far less likely to make. This is literally just around the corner. It won't be too long before we will be ditching our smartphone's for smart glasses that super impose information on objects in the real world both general, local, and personal. Add to that the ability to record and playback and our glasses will act as precision memories that just like today's smartphone's that we will soon come to heavily rely upon and wonder how we got by without our Augmented reality glasses. As the technology develops the glasses will give way to contact lenses and will be able to respond to our thoughts rather than voice commands. I know when a technology is going to be a huge success because I already want it before it is even released. In which respect augmented reality is literally just around the corner as illustrated by Google Glass which is due to be released towards the end of this year with a price tag of $1,500. Specs are vague but from what I have gathered it will take photos and record and playback video. What is E-paper? Probably thin sheets of flexible plastic that can display text and images, even movies along the lines of today's e-readers but far cheaper to mass produce and eventually as disposable as today's newspapers are. E-paper literally would be revolutionary in applications from small post-it notes to literally whole sides of buildings. It literally heralds a revolution in all aspects of flexible materials such as clothing. Home use 3D Printers - 2013 - Waste Recycling 3D Printers - 2017. The media is all a buzz with 3d printers as the next big technological revolution as prices tumble to below £1,500 for the most basic models. You hear much about the next industrial revolution being people setting up factories in their garages to print off downloaded digital designs of whatever the market demands. Whilst, I can clearly see some use for 3d printers by DIY enthusiasts who instead of using wood, metal and plastics use 3D printing for their one off projects. However, I cannot imagine ever buying products made by 3d printers sold on amazon or ebay as the quality even by the higher end £20,000 3d printers appears inferior to far cheaper to produce factory equivalents. So either 3D printing needs many, many more years to develop or as I suspect it is going to replicate 3D TV's in never living up to the hype that surrounds it today. So I just do not see 3d printers being a significant player in the next technological revolution as it will likely be superceded by far more superior technology such as nano-tech due to the cost of materials involved i.e. approx £60 for 1kg of plastic. Instead in a few years time I will probably pick up for a cheap 3d printer to use as a DIY tool for household repairs. However there is a possibility that 3d printers could take off if the 3d printers are able to utilise the plastic bottles that we all throw out in the trash virtually every day. That would completely shift the economics of the home 3d printer debate if printers are developed that are able to use household waste as materials at low energy consumption rates along the lines of a TV or desktop PC rather than of a microwave. The wonder super strong and super light carbon material discovered less than 10 years ago is X100 stronger the steel and more conductive then copper has all the ingredients to revolutionise many industries from construction, to computing and to the manufacture of virtually every product we use on a daily basis into stronger and lighter equivalents. Don't confuse nano-tech with the use of nano for various products such as the ipod nano, simply put 1 nano is 1 millionth of a millimetre in length. 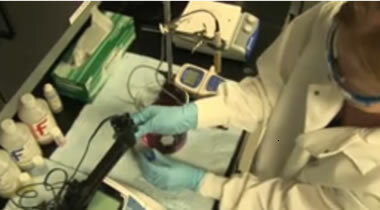 Nano technology is building machines and structure on the nano-scale. The nano-tech revolution is still some time away in terms of nano machines, perhaps as long as 10 years as it will require cheap super strong and thin materials such as Graphene to construct the nano machines and structures from, but when it does come it will change the world, the applications are near endless as these miniature factories will literally be programmed to do anything from floating around our bloodstream's repairing age related damage to manufacturing in intricate detail anything we choose in our very homes, making virtually all factories redundant. I can imagine a world were we take a pill that compels us to exercise, amongst the fitness freaks and body building there are already a string of caffeine based (legal) stimulants out there that help in the quest to get and stay fit. Of all of the above technologies the two that I deem to offer the best probability for huge profits in terms of investing over the coming decade are .....continued in the NEW 71 page The Stocks Stealth Bull Market 2013 and Beyond Ebook that you can Download Now for FREE (PDF 2.7meg), the only requirement is a valid email address. Been reading all your greatly insightful and valuable postings as well have been downloading and reading your ebooks since 2011. Your last ebook on 2012 had a chapter on India, this time it does not. Am interested to hear from you that when Dow does a downtrend this summer to say 12000 to 12500 or so, how do you feel the Indian markets would behave. For long, they have been in tandem, but one can never be sure and I would rather look forward to your view on this matter. On a different topic, gold and S&P have been moving together in the recent past. Therefore, when you say Dow can go to higher heights in the coming years, why should not gold too, since they seemed to be linked for now. Please if you have a chance would also share your forecast of currencies (dollar, euro, emerging, etc)as well? Please would you provide me with advice, I have been trying to set up a system of analysis for mid to long term timing of assets, but until now always unsuccesfully. Sometimes the system I build end up so complicated that defeat their purpose, as I don't have the time to go through it (I work full time in a field completely unrelated to finance). I am now considering the use of financial advisors or online subscription. But ideally, perhaps because of my principles that I prefer to be independent, and also my believe that I am the most interested in my financial well being, I would like to have a system of my own. You evidently have succeded on this task. At some point, could you write an article on how to create a analysis system? or if I just better get a financial advisor instead? My English is not so good, so please feel free to edit the message for clarity purposes. I have been reviewing your site today, looking for answers :) In one of your post you mentioned that you allocate no more than 30% to stocks, and most of your portfolio was in bonds and cash. This was a couple of years ago. You also talked about preparing a list of stocks to buy during corrections. Do you have any allocation model portolio that you can share? frequency of rebalancing or managing the portfolio? Do you use ETFs ETNs, active or index mutual funds or stocks? How to create the list of stocks? what criteria? Are the commodities and emerging countries growth megatrends still active? Gold is in a what, a 12 year bull market? Stocks 4 years, that's the reason why Dow has greater potential than Gold, Gold is not in a new bull market, it is well recognised and I would rather trade Silver because it is far more volatile i.e. offers greater risk vs. reward, so silver is a better to trade than Gold, whereas neither is really a good investment at current levels, i.e. could take years to reap a significant return with no dividend. I want dividend income, and capital gains it generates. The simpler the system the better, it needs to be reactive and not pattern fitted. In my experience rule based system's don't work because they take the process of being in synch with the market out of the equation. I.e. following a checklist does not work. Also you need to differentiate between investing and trading because they are not the same thing for the investing its more accumulating into a trend as a consequence of positive feedback i.e. you make profits so buy more, you make losses so you reduce your position. My portfolio today is about 50% UK housing, 20% stocks / commodities, and 30% cash and bonds. I try to accumulate into mega-trends, i.e. I am looking at the big picture spanning at least a decade which allows me to make mistakes and even ride out bear markets. I use individual stocks, and ETF's but not ETN's I did analysis of them some time ago and did not like what I saw under the hood. Commodities and emerging markets are very high risk and very volatile they need to be monitored, given the volatility from time to time they trade at deep discounts, so watch for opportunities to accumulate, in fact for the past couple of decades over 80% of my stock investments have been in and out of the same stocks, etfs of emerging markets and commodities. To effectively profit from investments, on must be immersed in the technologies, which for the future means, graphene, nantoechnology which means setting up a bio-tech lab. DNA - Killed religion, for now we understand the secret of life. Also I like good dividend payers and raisers as they are less risk and provide capital gains on top.